The requirement for a tenant to pay the equivalent of one month’s rent as a security deposit prior to being let into possession of premises is a common-place requirement of several rental agreements today. There is however controversy surrounding whether such requirements are permissible. The issue arises from the provisions of the Rent Restriction Act (“RRA”) which govern controlled premises in Jamaica. Most residential and commercial premises are subject to the RRA unless there is an exemption certificate from the Rent Assessment Board for the property. Consequently, where no such certificate has been obtained, all provisions of the Act apply. The logical question which flows from that provision is whether a requirement for a tenant to pay a deposit is in contravention of the RRA. For many years, this has been an uncertain area. In fact, there are several attorneys who may advise a landlord against requiring a security deposit for fear that the landlord may come within the prohibition contained in the section and become liable to criminal conviction and an order from the court for him to return the sum to the tenant. A security deposit is however a landlord’s safeguard against loss resulting from the tenant’s occupation and use of the controlled premises. If, at the end of a tenancy, the tenant has damaged the leased premises, then retention by the landlord from the security deposit of a reasonable amount to cover that damage amounts to fair compensation. A returnable security deposit against damage to the leased premises, which is provided for in the tenancy agreement, is not the payment of a fine, premium or other like sum by the tenant. Upon the surrender of the leased premises at the end of the tenancy, a tenant is entitled to the return of his security deposit less any expenses which the tenant was obliged to pay during the currency of the tenancy and any damage to the property for which he is responsible. This position was affirmed last year by our local Supreme Court. In a case which came before the court, it was argued that the collection of a security deposit as a requirement in a lease agreement was contrary to the RRA. In arriving at its decision the court, distinguishing a previous local authority, found that the previous authority was not of general application as it was limited to the facts of that particular case. That case turned on the wording of the lease agreement. The court held that the issue of whether a security deposit is illegal is dependent on the “the construction of the particular provision in issue and the purpose associated with collecting the sum”. When asked to rule on this issue, the court is therefore likely to ask for the agreement to be adduced in evidence. Optimally, the agreement ought therefore to be in writing. No doubt a defensible lease is one of the surest ways for a landlord to safeguard against liability. The court will assess the terms of the lease agreement to see whether the payment constitutes a premium, fine or consideration in addition to rent. If, for example, the tenancy agreement provided for the payment of a returnable deposit, it cannot be considered a premium. It also cannot be considered a premium if the agreement provides that the deposit is to safeguard against the tenant’s non-performance of his obligation to pay for various outgoings or repairs that are reasonably to be borne by him. In the ordinary course of things, a court is likely to find that the landlord holds that sum on trust for the tenant for the duration of the lease agreement and is therefore obliged to return the sum to the tenant on the termination of the agreement after setting off any accounts due from the tenant. It also does not appear to be a contravention of the RRA for a landlord to provide in the written tenancy agreement that the rent attracts interest at specified intervals after it becomes due and remains unpaid. This is because the non-payment of rent becomes a debt owed to the landlord, that entitles the landlord to sue to recover such debt together with interest if needs be. A carefully and properly worded tenancy agreement is therefore key to avoiding a breach of section 24(1) of the RRA. 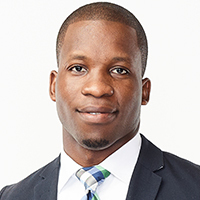 Litrow Hickson is an Associate at Myers, Fletcher & Gordon, and is a member of the firm’s Litigation Department. Litrow may be contacted via litrow.hickson@mfg.com.jm or www.myersfletcher.com. This article is for general information purposes only and does not constitute legal advice.